Easily and effectively stores and transports mail, office supplies, boxes, bulky records. Two fixed utility shelves and one adjustable shelf. Decorative end panels for a finished, professional look. Plate-mounted 3" diameter hard rubber swivel casters (two free, two locking). 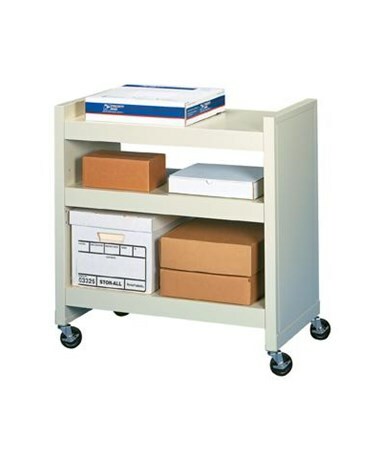 This Datum FileCart™3-Shelf Utility cart is perfect for storing and transporting mail, office supplies, bulky records, or boxes in and around your medical office or healthcare facility. This heavy-duty steel cart includes two fixed utility shelves, and one adjustable utility shelf, for maximum flexibility when storing items of varying sizes. Two steel decorative end panels provide a sleek, professional look to enhance your work space, office, or faciiity. This cart is designed to be quiet - the plate-mounted, 3" hard-rubber swivel casters (two free/two locking) eliminate that annoying rattle, and the solid construction eliminates the squeakiness often found in other carts - meaning no noise and distraction for your office staff. All shelves can be mounted with side flanges up or down depending on the types of items you store and transport. Perfect for storage and transport of mail, office supplies, bulky records, and boxes. Sturdy construction from heavy-duty steel for a lifetime of use. 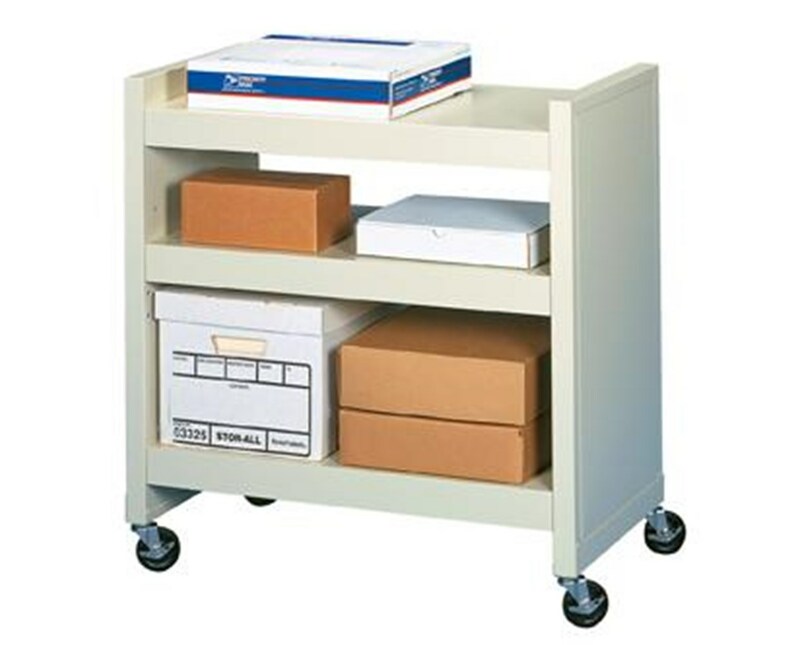 Datum FileCart™ 3-Shelf Utility Cart with End Panels.